No more searching for keys! One slot, two drill holes and an unostentatious piece of oak wood become a key board and a letter box. The key can be stuck through the slot and the key ring stays put through the tilt. Round holes are provided for bulky car keys. Through these the board is also screwed into the wall. The top provides a place for mail. Hello again! The Pension für Produkte is a small provider of home accessories that unites innovative ideas into a small but steadily growing product range. The key board, designed by Tomke Biallas and Grisella Kreiterling, perfectly fits to the rest of the collection. The Hamburger designers want to give their products new functional aspects as an additional dimension beyond their sense of the decorative. This worked out so successfully with the keyboard that they received the Design Plus Award in 2007. The key hanger by Pension für Produkte is made out of oak wood that gets oiled to stay beautiful. The 36 cm long board was designed by Tomke Bialla and Grisella Kreiterling. 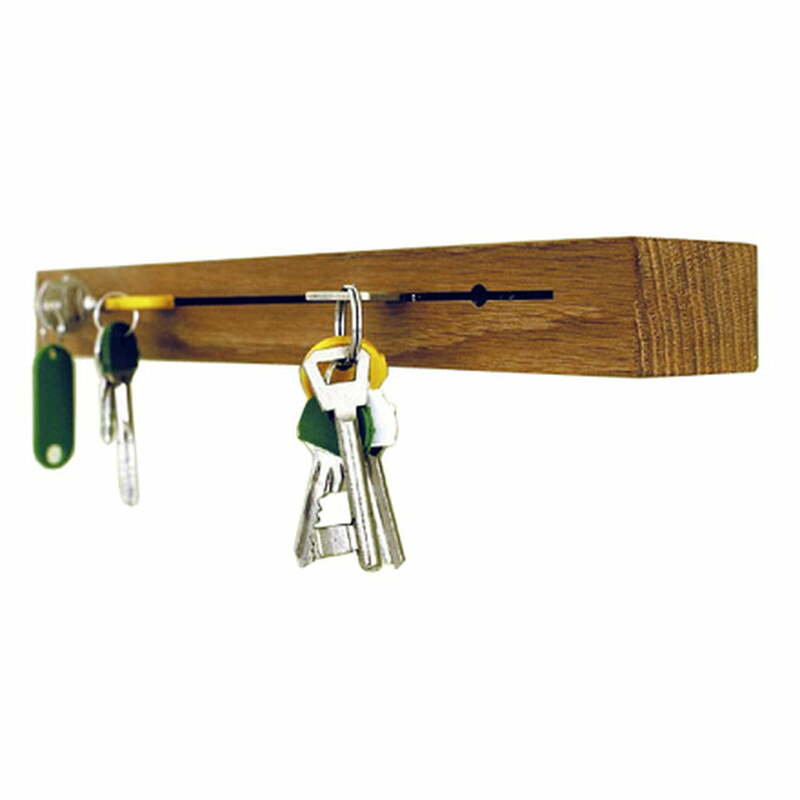 The manufacturer Pension für Produkte designed a key hanger without hooks. 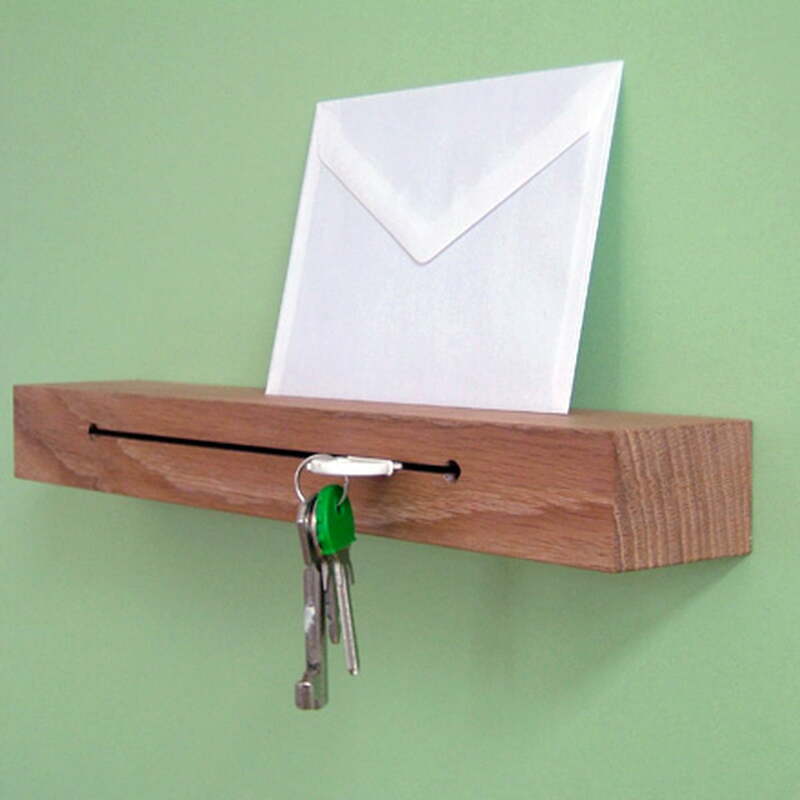 The slot in the oak wood holds the keys, further does the wood also serve as a small shelf. A beautiful contrast between the painted wall and the oiled wood. This is how to assemble the key hanger by Pension für Produkte on the wall. 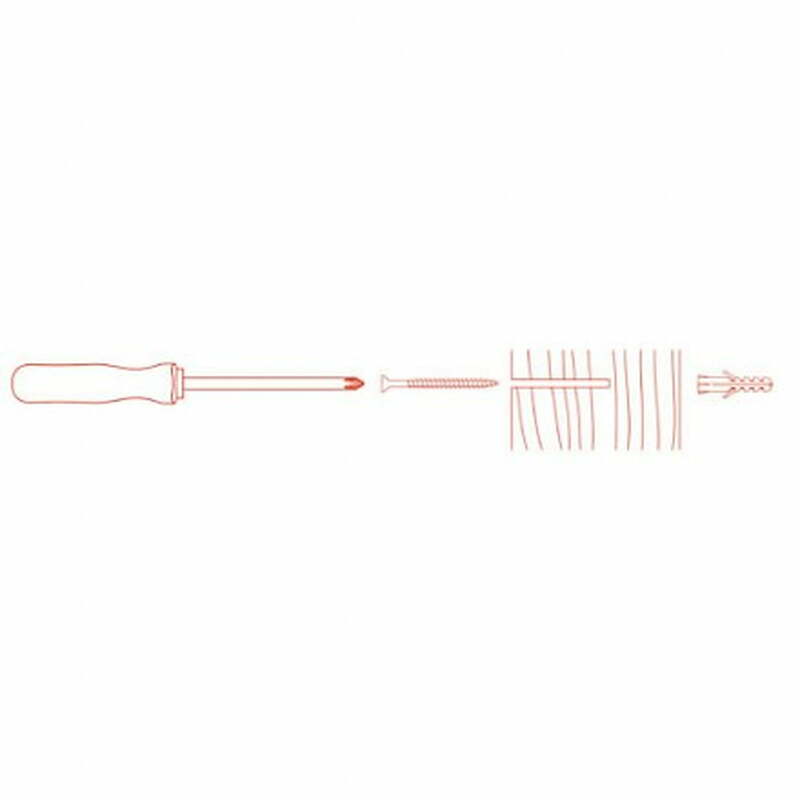 Two drilling holes in the wall and the board provide for the safety of not losing the keys in your own home.